Kami Nomi zo Shiru Sekai (The World God Only Knows) is getting a new OVA with the character Tenri making an appearance. 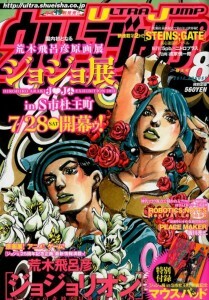 The August issue of Ultra Jump displayed some artwork for the upcoming JoJo’s Bizarre Adventure anime. The artwork contained the characters Jonathan Joestar and Dio Brando from Part 1 (Phantom Blood). Seitokai Yakuindomo is getting a new OVA. Zettai Karen Children is getting a new anime as part of it’s 7th year anniversary 7 projects. 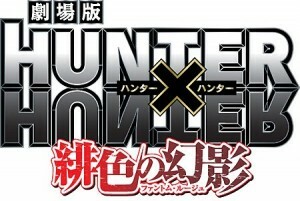 Hunter x Hunter’s movie is slated for a January 2013 release. It’s name is Phantom Rouge, possibly indicating an original story about the Phantom Troupe. OAD 1 will be bundled with volume 22 out on December 17th 2012 and will animate the Code:Extra chapters 1-3 as well as Plus 1 chapter. OAD 2 will be bundled with volume 23 out on February 15th 2013 and will animate the Code:100 chapter, Hanami extra chapter and Plus 2 chapter. 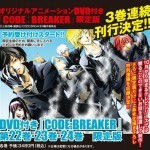 OAD 3 will be bundled with volume 24 out on April 17th 2013 and will animate the Code:4koma Special Theatre chapter. -Natsume Yuujinchou moved up from 5th place to 1st since last week. -Toriko, New Prince of Tennis and Nurarihyon no Mago all maintained their rank from the previous week. 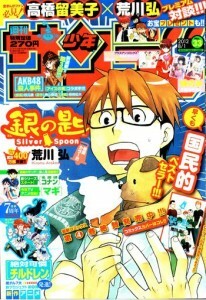 -Hiyokoi is the only new manga in this week’s top 10. -Big Windup! and Space Brothers are now in their 4th week in the top 30. -Nisekoi is just over 5,000 copies shy from reaching the 100,000 sales milestone.